Our stalls have lots of ventilation, multi-layered floor with "Stall Skinz" and nice layer of bedding with pee pot for drainage! Board $600 per month and we have 3 stalls under roof at $550 a total of 11 stalls We are full.........get on our next up list! 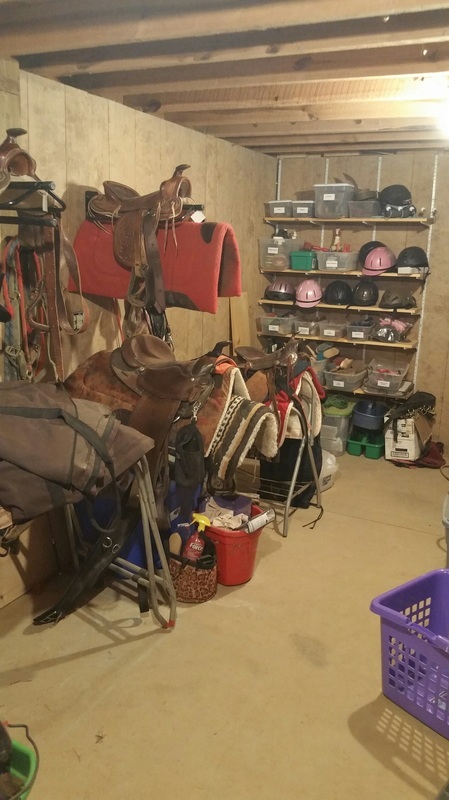 NO PASTURE Boarding, we reserve our pastures for our full board horse only! 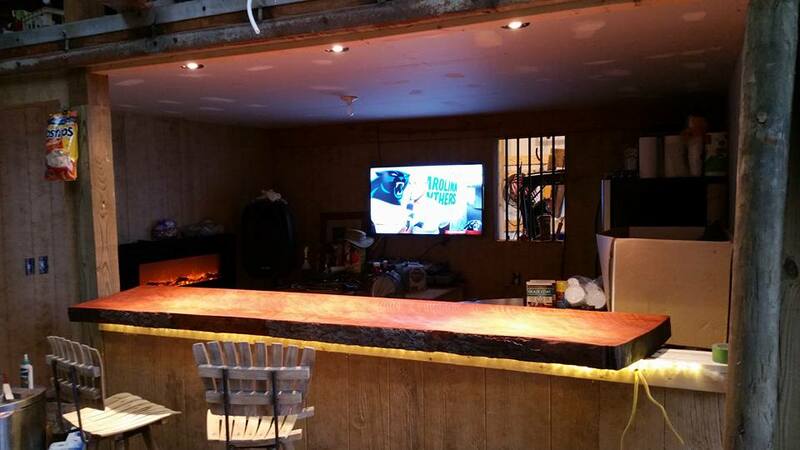 Boarders have access to the student/ parent lounge with TV, WiFi, Music system Kitchen and bar! Tack room private section, wash bay and clipping area, arena, pastures and trail system. We have the daddio paddio wrap around area around the barn with a fire pit and gas grill for grilling out and enjoying the farm with our horses! 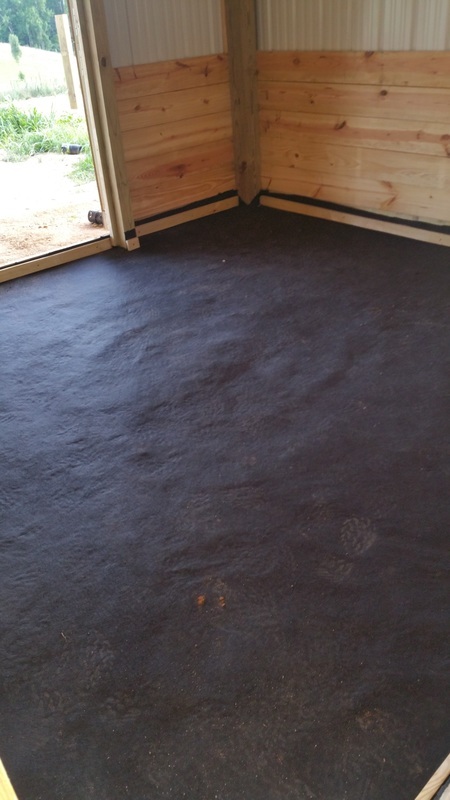 As far as the horses stalls and care go its Cadillac style......multi- layered flooring with the "stall-skinz" that creates a firm cushion effect and our drainage system to help the barn stay properly ventilated for better breathing of your horse. 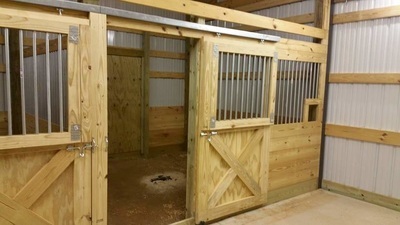 Our stalls have exclusive slider doors for larger isle way clearance and swing out front windows for access. 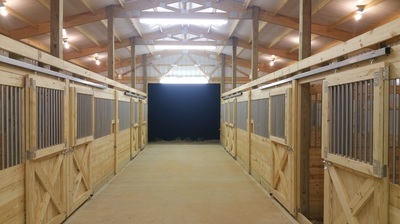 Stalls have back side doors and windows with 4' opening for out side viewing and access to get to hitching area and the barn perimeter. We use high quality hay "orchard grass or fescue" and don't skimp. Our grains are depending on the horse but some get "kalm and easy" and some get Senior feed but we use "Tribute" for consistent diet and proper digestion. 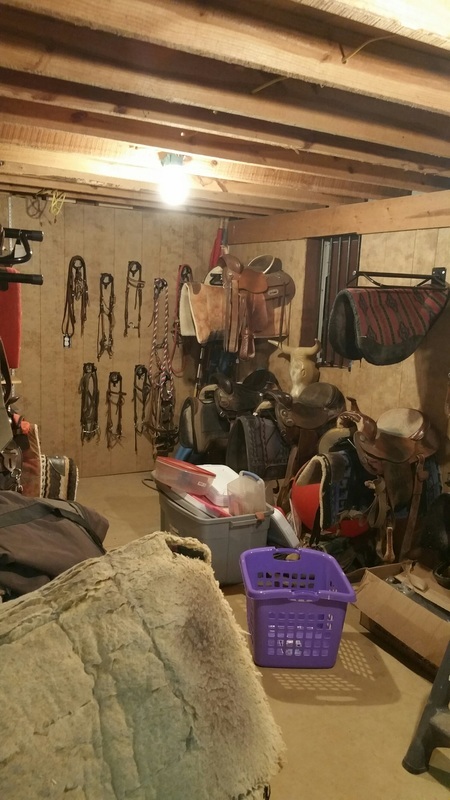 The tack room is large and organized and boarders have their own area for tack and access to the wash pit and restroom with hot and cold water and a shower! Our arena is 195X125 and has all kinds of training aids, poles for pole bending practice, barrels for barrel pattern practice, trail class obstacles course. The footing subsurface is soil with decomposed granite and the top surface is local creek sand, we are installing drainage now as well. The arena gets raked regularly so the surface stays consistent and safe/fun to ride on. We are a riding school so afternoons and most Saturdays lessons are going on so there is folks to watch and learn from. Our farm has six pastures for turn out so we can separate horses according to personalities and pecking order or to allow for grass to grow. We seed and manage the weeds and grow blended rye/fescue that is nutritional for horses as well as hardy during various times of year. Pasture zones are named Sunset, Mayberry, Cow Patty, Foggy Bottom, Kudzoo, and Big Valley, our horses get out daily ........weather permitting. Fencing on our perimeter is 4 stran high tensile wire plus a 3 stran electric and interior is the 3 stran so the horses are not going to be misbehaving or thinking about trying to leave their area, they respect that fence. 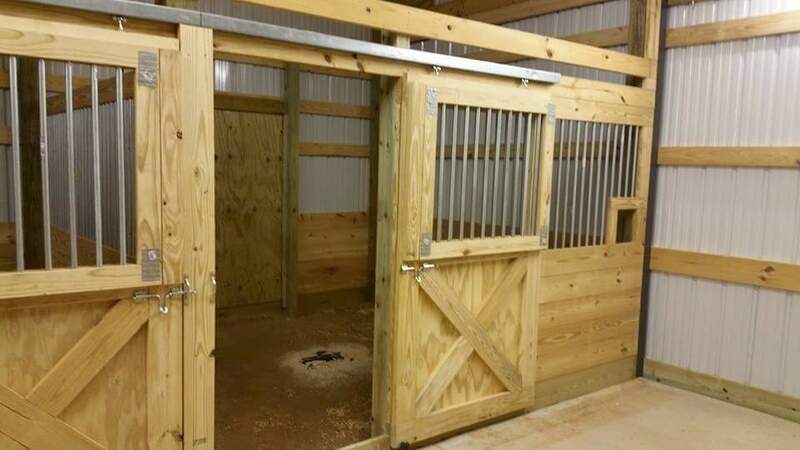 Gates all have electric fence protection for ease of access and getting your horse in or out, large 85 gal tubs for water and water spigots are in every pasture, no need for dragging hose out. Boarders and students have access to our trail system of 135 acres of beautiful forest and creek, trails are maintained and easily passable with horse and Side by side all terrain vehicle. Gates access the trail system behind our property and the trails are used by select few locals who respect the land and take care of the trails and are friendly. Trails traverse thru creeks and 100+ yr old trees and forest that give you a cool ride and opens up to more pastures and other routes for great afternoon of trail riding. If you like trail riding....it doesn't get any better than this! Debra has been riding since she was a old enough to sit in a saddle. She teaches all aspects of safety, care, horsemanship and riding skills. 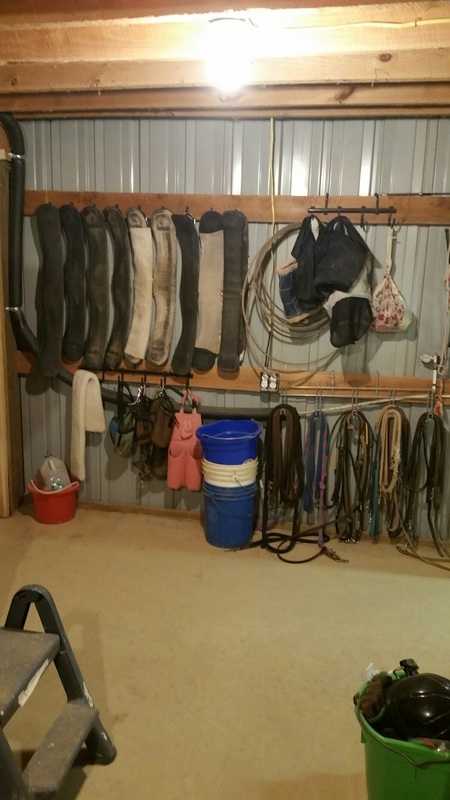 Private lessons usually are about one and half hour and group lessons are usually 2 hours to accommodate saddle up and tack down to clean hooves. Riders are taught to brush and care for their horse and help with putting them back in their stalls or pasture. There is a method to the process, depending on what the skill level of the rider we can tailor fit the instruction level to advance the rider to new skills and abilities. At times we may bring in other trainers to do clinics and its a great way for student or border to learn new and fun ways to interact with their horse and become a better rider/owner. Coming soon. 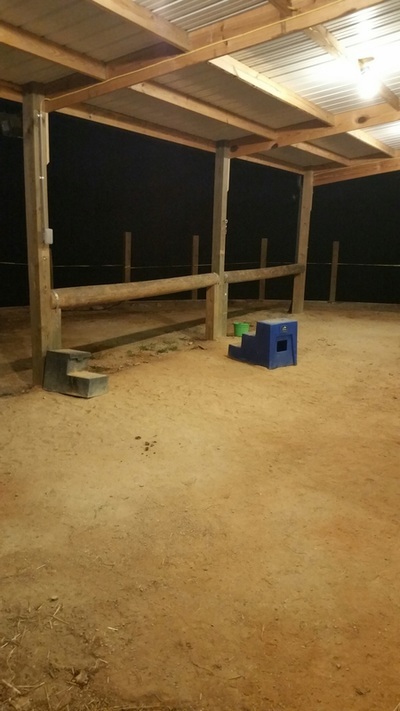 We are in the process of building a judges box and brand new K5000 (daylight) high efficiency lighting for the arena so we can do lessons and shows in the evenings or at night. We usually do 3 to 4 camps per summer and we sometimes do mini camps, Call Debra for weeks and pricing. 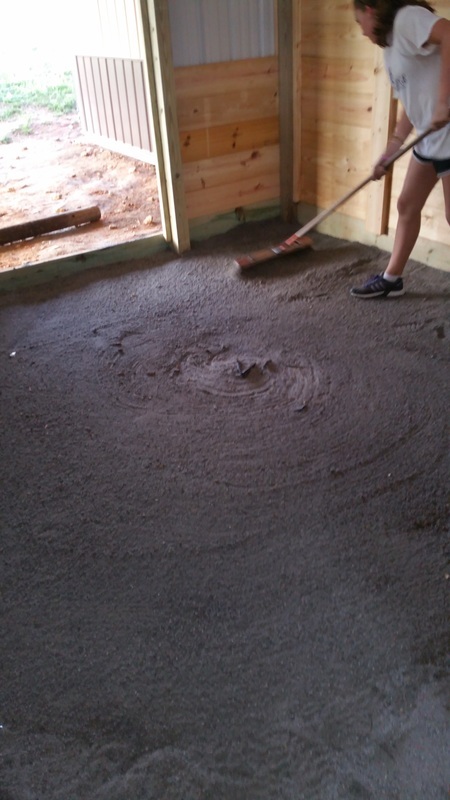 Kids need to have some skills so lessons in advance will help your child get the most of camp, we've done camps for the last 7 years and kids absolutely love it at Painted Sky Ranch!